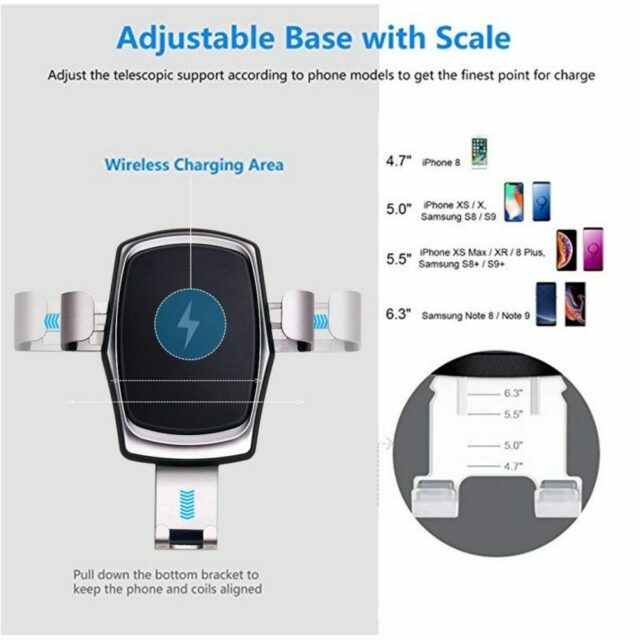 Wireless charger and car phone mount are combined as one. Power your device on the road without the need of messy cables inside your vehicle. Gravity linkage, automatic lock and release. The 360°rotating ball joint enables flexible viewing angles while driving. 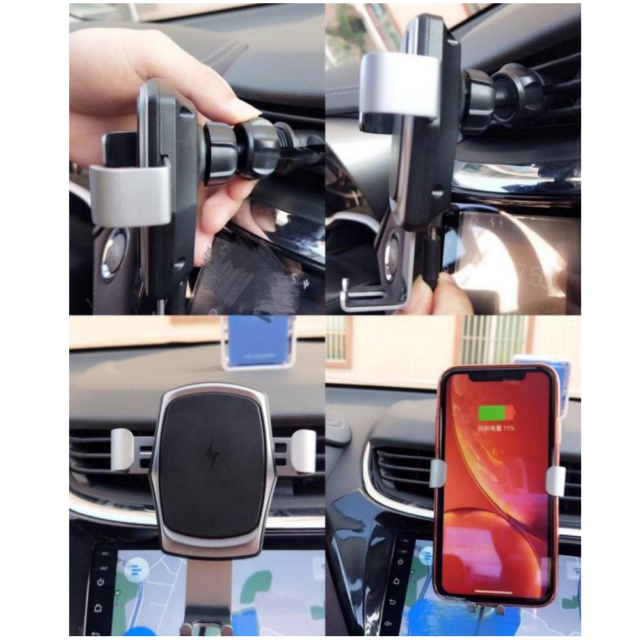 with gravity linkage design, you can just put on your phone and the extended arms will automatically securely grip your phone and start charging within One second. Slip Upwards to take your phone out. 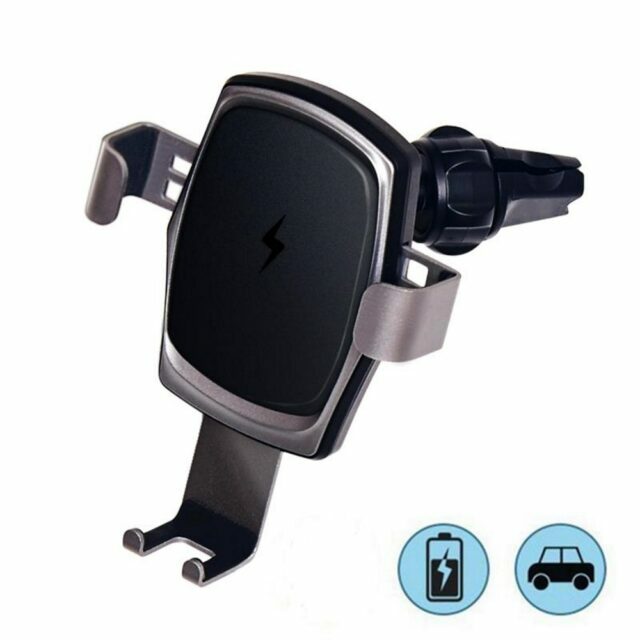 One hand operation, easy and convenient.